The home crowd in Tagum City, Davao del Norte, can expect another exciting match this Saturday, July 29 at 4 p.m., as the home team - Davao Aguilas FC (DAFC), collides with FC Meralco Manila (FCMM) once again. 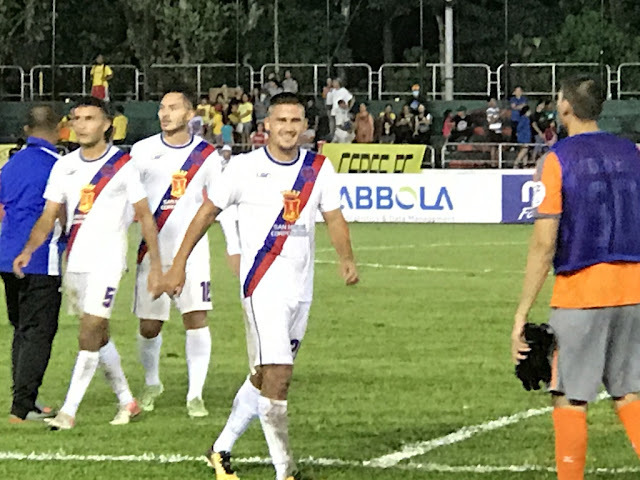 The last match these two teams had at Davao del Norte Sports Complex was last June 22 ended in a draw, with a score of 2-2, damaging what was then the perfect record of wins of FC Meralco Manila. The Aguilas have also strengthened its team by adding new players such as Matthew Hartman, Nick O’ Donnell, Australian striker Harrison Sawyer who were all seen on the start list in their previous match against Ceres-Negros FC last week at Panaad Stadium, in Bacolod City. For this Saturday’s match, fans might be able to see new signings such as Tagum native U22 player Raymart Cubon, Jorrel Aristorenas, Simone Rota and Jason De Jong show off their wares at the home pitch of Davao Aguilas. Match will be held at the Davao del Norte Sports Complex. Tickets are available at the stadium. For more information, please visit www.facebook.com/DAFCofficial.